In Ready to Wed, Focus on the Family has put together a collection of authors sharing in vast details about what they have learned throughout their marriage. 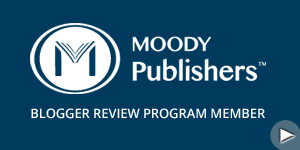 The main authors and editors are Dr. Greg and Erin Smalley. The other authors are Tedd Cunningham, Scott Stanley, Gary Smalley, Joe White, Juli Slattery, Joshua Straub, John Trent, Bill and Pam Farrel, Susan and Dale Mathis, Scott and Bethany Palmer, and Tim Popadic. The book is divided into two sections and each chapter is written by different authors. 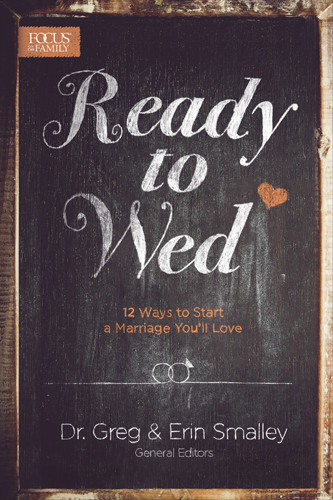 Dr. Greg and Erin Smalley began the book by sharing how God described marriage in the Bible. God declared that it isn’t good for man to be alone. We are instructed that a man must leave his father and mother and be one flesh with his wife and cleave to his wife. They also revealed some of the top reason people get married. Some of these are: “to marry their soul mate, get their emotional needs met, raise kids and have a family, fulfill sexual needs and desires, financial security”, and much more. It’s critical that we marry for the precise reasons and build a solid marriage. One of my favorite chapters was, “Honoring You All the Days of My Life” by Gary Smalley. This book discussed the power of honoring our spouse and how husbands are instructed to love their wife like himself and cherish her (Ephesians 5:33). I especially loved how Gary revealed that he wrote a list about everything he cherished about his wife and when he was frustrated or mad at his wife he would pull out his list to remind himself of everything he loved about his wife. He also included a helpful list to help readers begin their on cherished list. Another helpful benefit in this chapter was a nourished list that included a list from both genders explaining how they feel loved by their spouse. I would recommend this life changing book to anyone who is engaged or married and they are seeking to build a solid marriage with Jesus at the center. I immensely liked how the book had so many different authors who are expects in their field and they have massive knowledge about marriage. Even though I’m single and not married, this book is one I will reread with my future spouse and I believe it will impact our marriage and help build it on a solid foundation with Jesus being at the center. I really enjoyed Bill and Pam Farrel chapters about expectation in marriage and this taught me that everyone has huge expectations when it comes to what their spouse is supposed to do for them. It has caused to wonder what my expectations are and how to not hold my future bride to a too high of a standard. If you’re looking for an excellent book about marriage, then read this one! —24/7 streaming access to more than 750 Adventures in Odyssey episodes (a $1500 retail value). —A new, members-only Adventures in Odyssey episode every month. —A subscription to Adventures in Odyssey Clubhouse Magazine. —A web quest of video stories and online activities reflecting the biblical theme of that month's episode. —On-the-go access with the OAClub mobile iOS app. —Growing access to Odyssey books, a daily devotion, access to select Radio Theatre dramas and more. In I Tried Until I Almost Died, Sandra McCollom explored her journey with struggling with trying to be perfect, she obsessed over eating healthy, and she believed her household must follow all of the right rules. She eventually received a revelation from God on January 2, 2012 and she realized that God loves her because of who she is and His love doesn’t change even when she falls short. She also discovered that Jesus was never hurried, afraid, or stressed out. She began to dig more deeply into God’s Word and she studied about the power of grace and living free from guilty about not being perfect. Throughout the book, she shared tons of scriptures that helped to set her free from condemnation and she revealed personal stories about how God changed her life around. I would recommend this amazing eye opening book to anyone who is struggling with perfection and feeling guilty because of your mistakes and flaws. This book taught me what the scriptures declare about receiving grace for our countless failures. I especially liked how Sandra McCollom shared stories from own life about how she overcame her addiction to perfection and how God helped her to break free. I immensely enjoyed how many scriptures verses she included throughout the book. I learned about my righteousness found solely in Christ and my true identity and this is something I need to be reminded of every single day. I also loved how the book contained a special section entitled, “God’s Promises to Live By” and she shared powerful scripture verses and she explained what it meant. If you’re seeking an encouraging book about finding freedom from feeling like you have to be perfect for God to love you, then read this book! “I received this copy of I Tried Until I Almost Died for free from WaterBrook Multnomah Publishing Group for this review”. In Transcending Mysteries, Andrew Greer and Ginny Owens explored the many different dramatic insights found in the Old Testament and how we can discover who God truly is. Andrew and Ginny are both Christian artists/songwriters who have had hits songs played on the radio. This book is divided up into eight chapters with alternating voice perspectives and each chapter is related back to one of their songs. Each chapter they also walk readers through scripture passages and they share how it applied to their own life story. There is also helpful discussion questions at the end of each chapter. Another favorite chapter was called, “Rescue Me”, Andrew Greer shared how he struggled to believe that God truly loved him even when he made mistakes. He admitted that he was addicted to being a love addict and he was in a few unhealthy relationships and he also struggled with low self-esteem. He earned his Bachelor’s degree in music from Belmont University and began a job at a record label. He eventually was laid off and this opened the door for his music career. In this chapter, he revealed that he received counseling and went to twelve steps programs. He also explored the truth found in Isaiah 54 about how God gave the Israelis mercy for their mistakes during their time in the wilderness and he never stopped loving them. I would recommend this life changing book to anyone who is wondering about the mysteries of God and how they relate to us in today’s times. This book taught me tons of Biblical stories and I especially liked how they related them back to their own life stories and to a song they have written. I also liked how Ginny Owens shared her struggle with being single in the chapter, “Say Amen”. I connected with her desire to sharing life with someone you love, doing things together, and wanting to hear them laugh. I also have that longing of being married and having children. I liked how she looked at scripture passages at the life of Hannah and how she dealt with struggling with infertility. This chapter was a huge encouragement to me and it gave me great hope that no matter if I’m married or not I’m still God’s child and loved. I strongly recommend this book! I would recommend this life changing book to anyone who is seeking a new book about Christian parenting and raising children. I liked that they covered a wide range of topics that they have learned in raising their two boys. I liked how Mark and Jan shared how it is important to never say no to our children. They strongly believed that always saying no to our children when they ask us to play with them can have such a negative impact on their lives that they will eventually stop asking us to play with them. I also liked how they covered how critical it is to make sure we fill our children’s love tank by speaking their love language. They also noticed that when their children love tank was full, they didn’t act out as much. When I have children, I will be exploring and testing this out and making sure I fill my kids love tanks. I also plan to re-read this book before that time too. I also loved the discussion questions included at the end of each chapter. I enjoyed the personal stories they shared about their boys. For example, one of my favorite stories was about how they were at a conference and the speaker asked people to come up for prayer and they would pray over them. During this time, he realized that his small son, Jon was missing and they frantically starting searching for him. They eventually found him up near the stage laying hands on a man praying over him to be healed. He was doing what he was taught spiritually. This example is very powerful and it’s vital to always remember our kids are watching everybody’s actions and they learn by our example and others – positively or negatively. If you’re looking for an excellent book on parenting, then check this one out! Mark and Jan Foreman's adult sons Jon and Tim Foreman of Switchfoot have influenced their world not only by a successful music career but also through their positive impact on communities around the globe. The Foreman parents instilled in their sons a belief that they could make a difference by living beyond themselves. This powerful book gives readers an inside look at the process. It begins with both parent and child finding their identity in God. It then explores practical ways to encourage holistic learning while cultivating specific gifts, nurturing creativity in a media-saturated culture, and balancing structure with individual choice. Never Say No inspires readers to raise children to live in the wonder of life by loving others well. Parents will find encouragement for their own parenting journey as they guide their kids to live out God's purpose in radical ways. I’m a member of the Family Christian Bloggers and they provided me with a free copy of Wrestling for My Life” for this review. In Wrestling for My Life, Shawn Michaels opened up about his days in being in the WWE and the many different struggles he went through. He began the book by sharing how he became addicted to pain pills after suffering from extreme pain from his injuries in wrestling. He admitted that some days he took up to thirty to thirty-five pills a day. His wife, Rebecca was a devoted Christian and she was praying that God will set her husband free. He experienced a wakeup call when his two year old son, Cameron crawled up on him while he was resting after taking a few pain pills and said, “Daddy’s tired”. He realized that his son was finally seeing who is dad really was. He found a local church to attend regularly, “Cornerstone” (the church where John Hagee is the leading pastor). He began to also attend a Bible study group with Keith and Priscilla Parker. They poured into his life and became his mentor and they helped him to grow spiritually in Christ. He finally turned to Jesus and received salvation. Jesus began to change his life and he was able to overcome his pain pill addiction. I would recommend this life changing book to anyone who enjoys the sport of wrestling and is looking for a book filled with a message of faith. I liked how Shawn was real throughout the book about his life and how he shared how God changed his entire life around. I also appreciated how he stood his ground when he returned to wrestling after retiring a few years ago. My favorite chapter was the chapter, “Aiming to Please” because he shared about how God set him free from having to please people and now he only needs to try and please God. This is critical in running our race and completing God’s calling on our lives. I liked how the book also contained personal pictures to give us a glance at his life. This book has the power to influence people for God’s Kingdom and it’s one definably checking out! In Whatever the Cost, David and Jason Benham are twin brothers who have written a book about the Christian principles they have used throughout their personal lives and their business. Their father was a leading part in how they were rooted in their Christian faith. He founded his own church and he strongly believed that the church is called to be the church and serve others and show them compassion like Christ would do. He also was a big pro-life supporter. The book goes through their journey of following their dreams of playing professional baseball and how they discovered their passion after baseball. They shared how they founded their own successful real estate business and the many different up and downs they experienced along the way. The book also covered how they lost their reality TV show deal with HGTV and the enormous controversial with the community of GLADD. I would recommend this amazing book to anyone who enjoys reading books that can assist you in building your Christian faith. I liked how David and Benham was transparent in opening up about their mistakes, accomplishments, and the countless principles they have learned about the Word of God and how they applied it to their business. One of my favorite principles they shared was about when God put something, such as our dreams, in our hand, we have to be careful not to hold to tightly onto it. It’s critical to remember that God has a way to keep and let happen what is in His will and we don’t have to strive to hold onto it. I also liked how they included a nice appendix of all the different 62 principles all listed out where it is easier for readers to reread the principles and incorporate into their own lives. I really appreciated the faith they shared throughout this book and how God has changed their lives. This book has the potential to impact readers and I highly recommend it for business leaders and people wanting to grow spiritual. 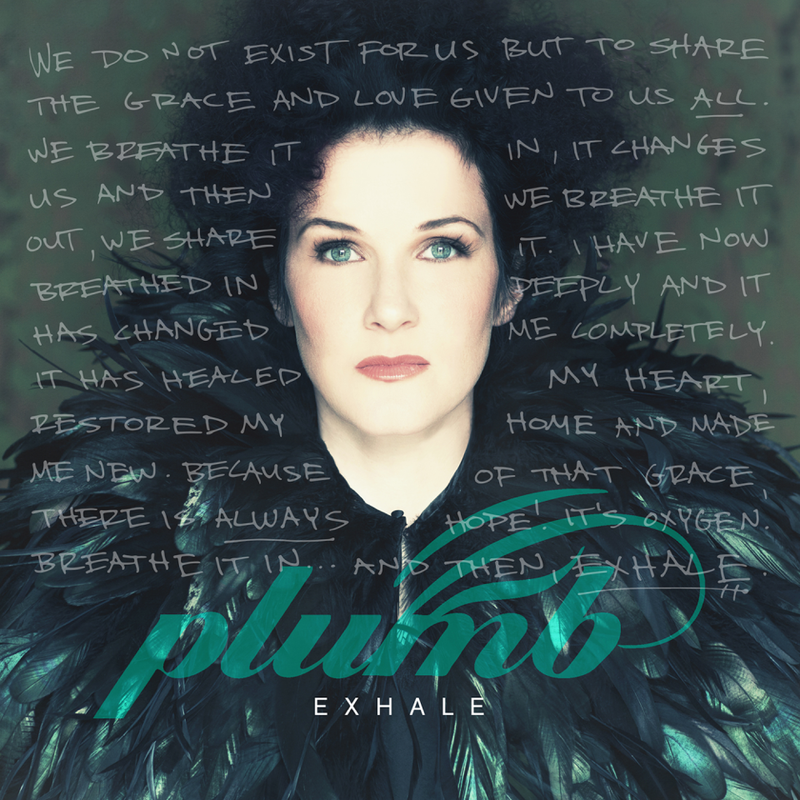 Plumb is back with her eleven album, “Exhale” which was released on May 5. Tiffany Arbuckle Lee, better-known by her stage name Plumb, is a songwriter, recording artist, performer and author. Plumb has sold more than 500,000 albums and over two million singles worldwide, co-penned songs for numerous other artists, including Michelle Branch, Mandisa, Mandy Moore, Jaci Velasquez, and Natalie Grant, and had music placed in many films and television shows. Originally signed as a Christian Contemporary Music (CCM) recording artist in 1997, Plumb is now known as well as or better in alternative rock, electronic dance music, and for the use of her music in film and television than she is in the CCM market. EXHALE, the seventh studio album from acclaimed multi-genre singer, songwriter and author PLUMB, expresses a new focus and vision. After the runaway success of NEED YOU NOW (the album, title track and book), which coincided with her own moving story of brokenness and ultimately healing, Exhale brims with worshipful songs of gratitude and hope. One of my favorite track is the title track “Exhale” because this one talks about letting go of all our fears, frustrations, angry, and hurts and asking the Holy Spirit to come in and free us from the pain we are experiencing. I liked how this song had a calming feeling to the song. This reminds us to breathe and exhale and give everything to God that is bothering us. My favorite track on the album is “Resurrection”, this one describes how we feel when we are going through a dark situation and have lost our hope. This one is a powerful anthem about believing in the resurrection and how God can make dead things can come back to live. God can also make everything out for our good and God can roll any stone away. I loved the lyrics of this song and how it could be the next big worship song. Another favorite is “Champion” because this one discussed how God gave His only Son to die for our countless sins and He conquered Hell and how He is a champion. The whole album contains a positive uplifting Christian rock vibe and the songs are written in a way that connects with listeners. If you’re looking for a new album to purchase, then check this one out!